This is the second Planet of the Algo system, Mota. Over 1000 years have passed since the evil Lassic was defeated by Alis and her friends. Since that time, Algo has prospered under the care of a giant comptuer called Mother Brain. The Mother Brain created domed farms on the dry world of Mota, so that crops would grow. But the people of the Algo system perhaps became soft in the long years of peace. And now evil threatens the system again! Who will be able to unlock Algo's fateful secret? 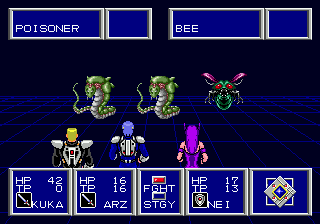 Phantasy Star II was released on the Sega Genesis in North America in 1990. It was developed and published by Sega. 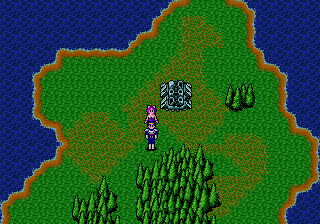 As an early RPG, it was the first RPG or one of the first for many RPG fans. 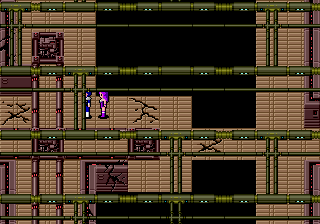 Phantasy Star II is most well known for its notoriously difficult maze-like dungeons. Since its initial release, the game has been ported over to multiple systems via Sega's Game Collection series. In 2005, an impressive remake was released for the PlayStation 2. 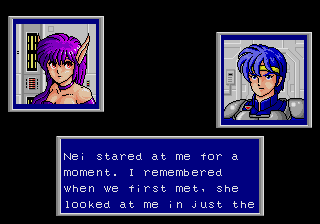 This remake wasn't released outside of Japan, but you can play it in English thanks to a fan translation. Given the game's reputation of having such difficult maze-like dungeons, you're going to need maps to get through them. This website features a complete collection of detailed maps for every area in the game.